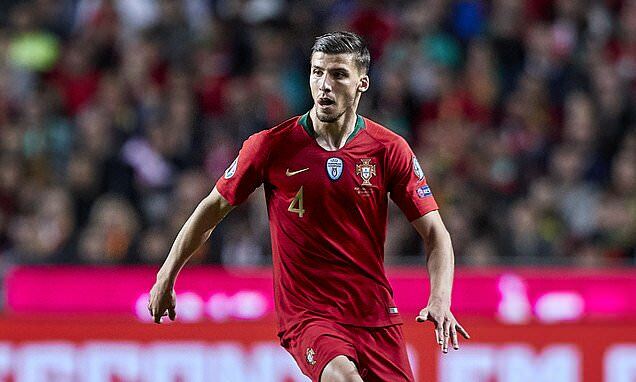 Juventus have reportedly expressed an interest in making an audacious move for Ruben Dias from Benfica after missing out on Ajax’s Matthijs de Ligt, who is set to join FC Barcelona at the end of the season. Benfica’s Dias is widely regarded as one of the best defenders, though, and Mundo Deportivo claims that the Portuguese is now a prime target for the Serie A champions. The Premier League giants Manchester United are believed to have already shown their interest in signing the 21-year-old, but Juve may have an advantage as the defender shares the same agent – Jorge Mendes – as Cristiano Ronaldo and Joao Cancelo. Dias has made 37 appearances for the Portuguese giants in all competitions this term, is said to be seen as a long-term replacement for Andrea Barzagli. Dias would reportedly cost €40million.